To investigate to what extent mental health treatment needs are met in white and black and minority ethnic (BME) prisoners. Treatment needs of a random sample of male (n = 197) and female (n = 171) prisoners were assessed with standardised instruments. Interventions provided were confirmed through face-to-face interviews and case note review. BME prisoners comprised 44% of participants. Treatment for depression, personality disorder and alcohol abuse was more often needed by White than BME prisoners. 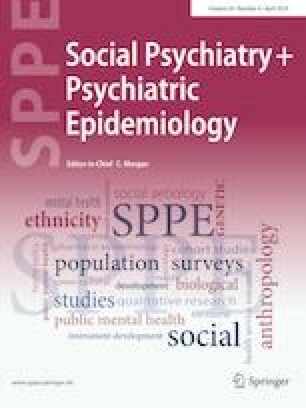 Needs were more frequently met in White than BME prisoners (48.5% vs 38.2%; p < 0.05), largely due to the delivery of psychological treatments. BME prisoners had fewer of their mental health needs met. This study was funded by the National Forensic Mental Health R&D Programme (Ref. MRD 12/83). Ethical approval was obtained from the Thames Valley Research Ethics Committee (Ref. 05/MRE 12/52), in line with the 1964 Declaration of Helsinki and its later amendments.